Use Arrow Magnetic Developer when performing magnetic encoding to verify mechanical placement of the encoding head alignment and track placement on the stripe. If the magnetic encoding is out of placement it will affect the read back of the Point of Sale systems during use. Therefore, QA tests are performed every hour at many card manufacturers facilities to ensure proper signal amplitude. Tests are also conducted for bit spacing and jitter. 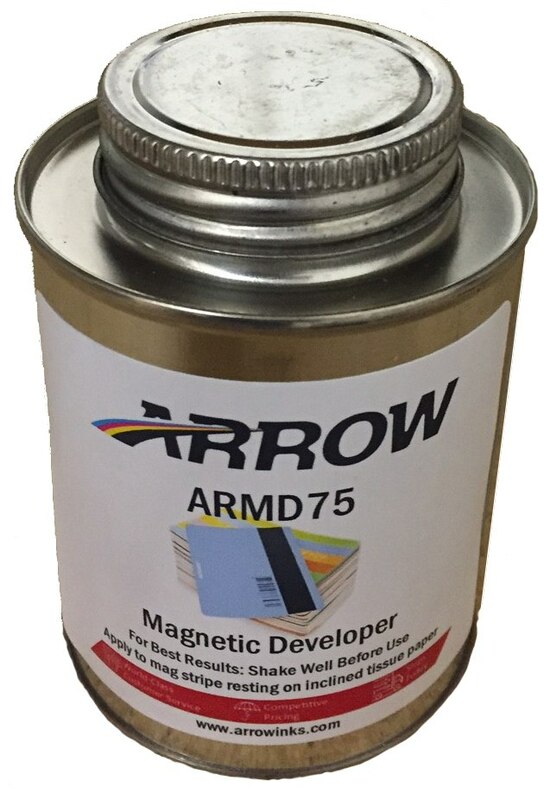 Arrow ARMD75 provides a view of the encoded product. The visual representation assists in the adjustment process. Arrow ARMD75 helps to ensure compliance with ISO specifications.